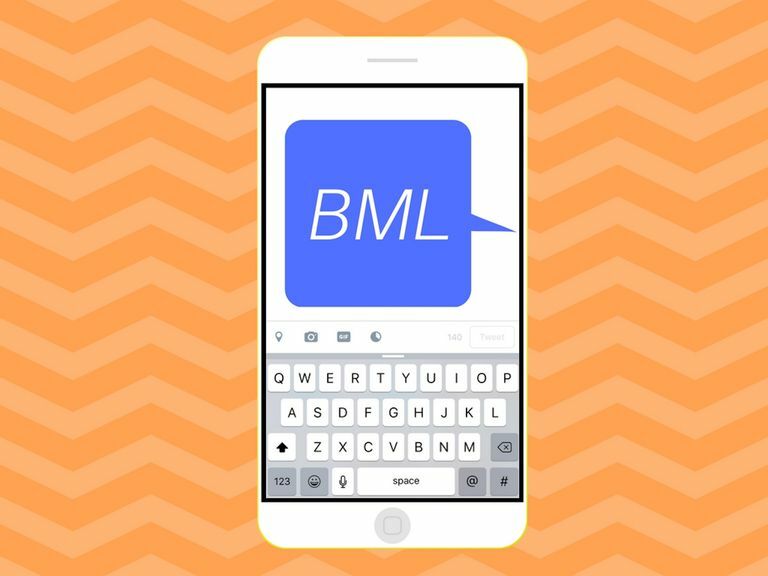 BML is a relatively uncommon acronym that's anything but easy to interpret. To make matters even more confusing, the acronym has as many as three possible meanings. These are three very different interpretations. The real trick is determining which interpretation is being used when you see the acronym online or in a text message. Let's take a look at each one as we dive deeper into their meanings and how they're typically used. "Bling my line" is like saying, "call me," "text me," "message me" or "get a hold of me." The word "line" refers to a phone number (or another way of getting in contact via smartphone) whereas the slang term "bling" refers to making the phone light up or making a notification sound. Some people use it casually for asking people to contact them while others only use it when they're looking for a romantic/sexual encounter. The acronym and its particular use for romantic/sexual encounters may have been influenced by the popular song Hotline Bling by rapper Drake in which he sings about the phone calls he would get from a particular love interest late at night. "Lonely af tonight so bml if u wanna chat"
"Bml if you got a PS4"
"Pretty bored atm so bml to help me pass the time and not go insane from boredom"
"Bless my life" is a modern slang way of showing gratitude. Someone who feels the need to share a particularly positive experience or event might include BML in their message to express how fortunate or lucky they might be feeling. BML as "bless my life" is synonymous to LML (which stands for "love my life") and the opposite of FML (which stands for "f*** my life"). Depending on whether a person experiences something positive or negative, their use of BML/FML will change. "Got an A on an exam I crammed for three hours before I had to write it. BML"
"Bml it's a snow day and couldn't care less about going to class this morning"
"So happy my bf decided to take me back bml I can't believe we were broken up for 2 whole days"
"Biting my lip" is a facial expression used to convey a particular individual's physical reaction to something. Since people tend to bite their lips for different reasons, the reaction could be positive ore negative depending on context. Someone might want to convey that they're biting their lip as a way to emphasize flirtatiousness (a positive reaction) or they might want to bite their lip because they feel uncomfortable in a certain situation (a negative reaction). With this acronym, context is key. "Hey text me a pic of what ur wearing... bml..."
"Idk, bml, whatever you want to do is fine with me I guess." "Saw the cutest guy today on campus bml I think I'm in luv!!!" The only way to identify the right interpretation of BML when you see it somewhere in the wild is to extract as much meaning from the entire message as a whole. Ask yourself, what is the individual's intention by posting or sending this message? If it sounds like they want you or others to reach out to them, especially by phone or text, they might mean Bling My Line. If it sounds like they're bragging or boasting about something good that happened to them, they might mean Bless My Life. If it sounds like they're reacting to something/someone that could either be enticing or off-putting, they might mean Biting My Lip.